A neat geometric design of Morse code like dots is featured on this modernist vintage men’s necktie by Countess Mara, circa 1970s. 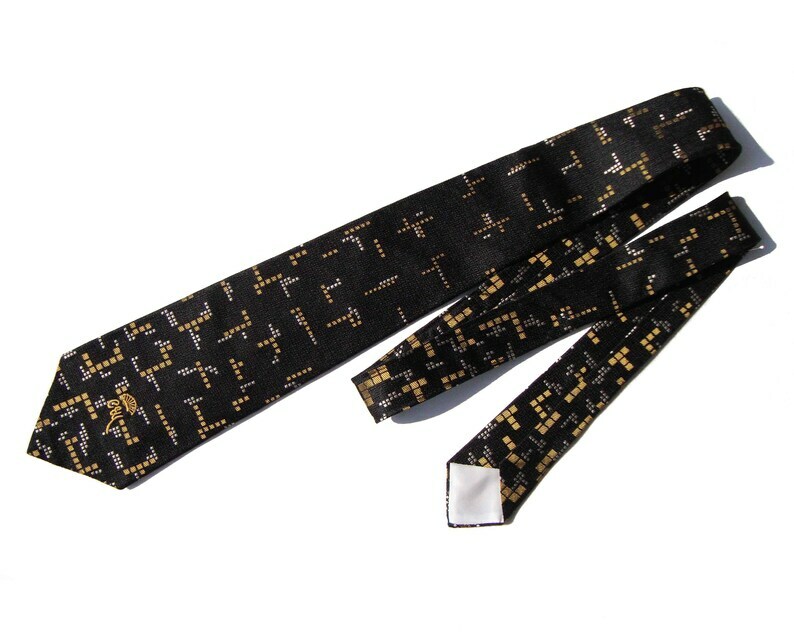 The wide tie is comprised of a solid knit polyester with pattern of little square shaped dots of gold and white, over a black ground. The tie is also fully lined within, measures approximately 3&5/8 inches wide by approximately 53&1/2 inches in length, and is embroidered with initials “CW” with crown logo on the blade, along with a label for “Countess Mara”, “New York”.